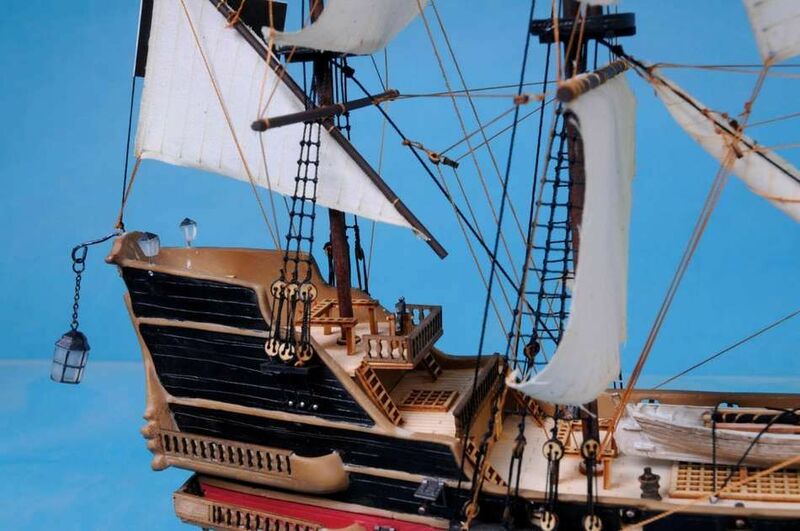 Board this exquisitely crafted tall ship model of Black Bart's Royal Fortune pirate ship and sail into high seas adventure. 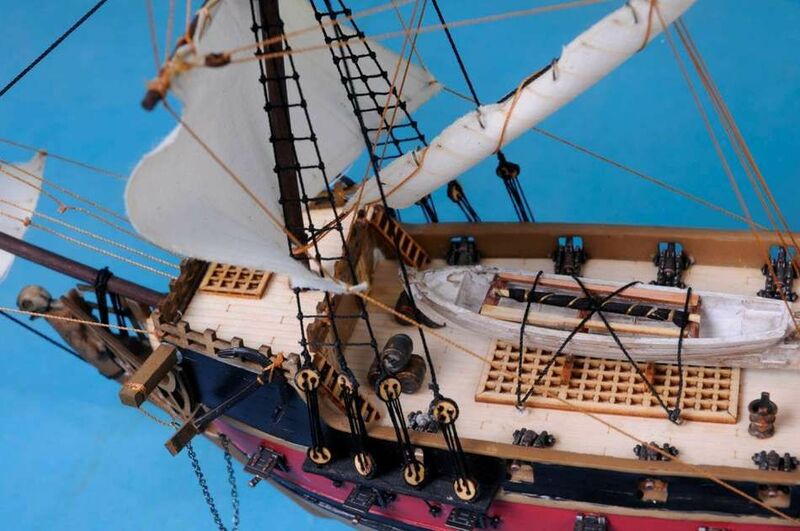 This model tall ship is a worthy flagship for the commodore of a pirate fleet, and will impress all who look upon her with her fine craftsmanship and unrelenting detail while filling you with the spirit of high seas adventure. 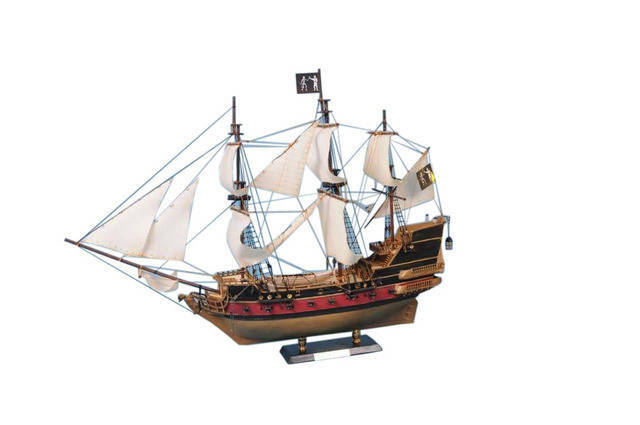 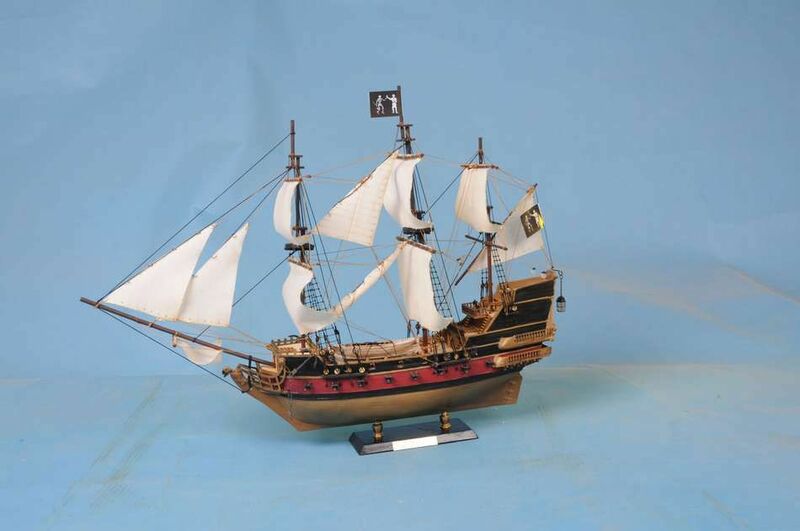 Let this masterful Royal Fortune pirate tall model ship set her sails from a place of distinction in any home, office, or meeting room as you heave to and prepare to be boarded.